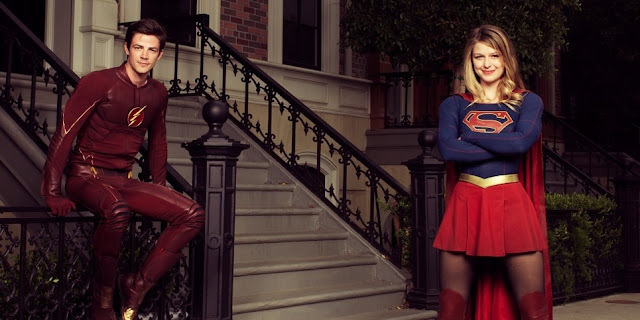 "We are so incredibly excited to announce something that we have dreamed of happening since we starting making Supergirl —The Flash and Supergirl are teaming up!...We want to thank Grant Gustin for making the time to come visit (on top of his already immense workload) and all of the folks at CBS, The CW, Warner Bros., and DC for working this out. And finally thanks to the fans and journalists who have kept asking for this to happen. It is our pleasure and hope to create an episode worthy of everyone’s enthusiasm and support." I'll be tuned in for this episode along with all our fellow Spotlight fans of both shows! Supergirl airs Mondays at 8 p.m. ET on CBS, while The Flash airs Tuesdays at 8 p.m. ET on The CW.